The Musketeers – Season 3 (2016) – What's New on Netflix Canada Today! Set on the streets of 17th century Paris, series gives a contemporary take on the classic story about a group of highly trained soldiers and bodyguards assigned to protect King and country. Based on characters made famous by Alexandre Dumas, this series set in Paris in 1630 follows four swashbucklers who fight to protect their country. Athos, Porthos and d’Artagnan have been at war, while Aramis has been at the monastery caring for the children left orphaned. Missing munitions brings the three to the monastery where the bad guys have taken refuge. 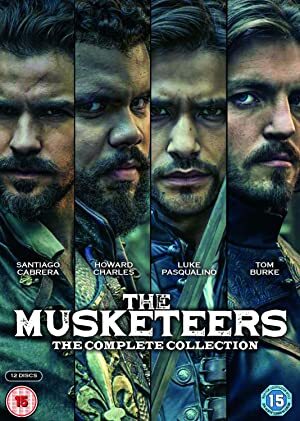 As they scheme to stop the stolen munitions from being sold to the Spanish and save the Monks and the children, Aramis is forced back into battle and has to decide where he truly belongs.